Speaking of egg production, this is the lightest week in a while. There were only 40 eggs total produced, which has really impacted what we can give away. Thankfully, they upped the production the last few days of the week. The number of eggs is not the only thing we are watching. I also pay attention to the weight of the eggs, which I haven’t reported lately. In the past the ladies were laying small eggs with a few mediums. Since that time the egg size has grown quite a bit, and we are solidly in the medium egg category now. 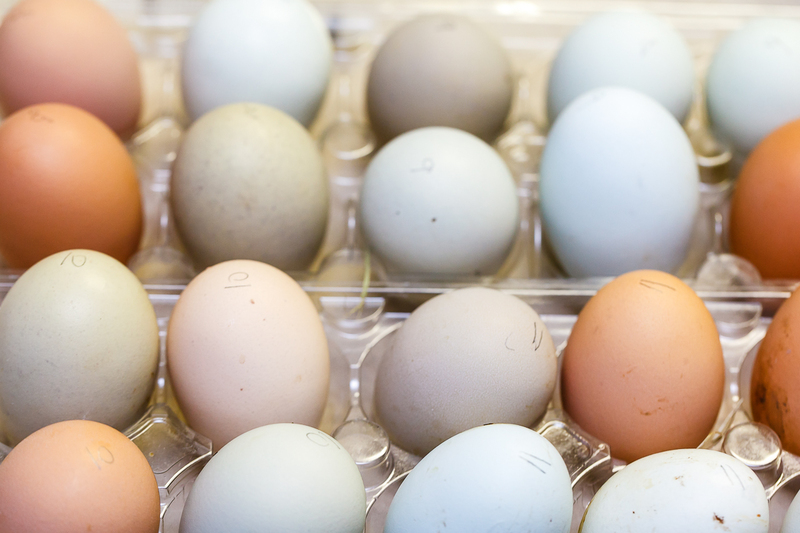 The Rhode Island Reds’ eggs are averaging 1.85 ounces, and the Easter Eggers’ are averaging 1.775 ounces. The average for the flock is 1.78 ounces. We did have two much larger eggs this week, both weighing near the extra-large egg weight (above 2.25 ounces). The rain we have had lately has put a real damper on their outside time. Though they play in the run all the time, Charity usually tries to let them run out in the grass daily, and that hasn’t happened as often due to the rain. I suspect it will become even less as the days get colder. This entry was posted in Chickens, Hobbies and tagged in Easter Eggers, eggs, fresh eggs, Pink Egg, Rhode Island Reds.